Ergonomics at workplace has become very important as maximum part of the day is spent at workplace. Posture while sitting, standing or working can make all the difference to your physical wellbeing giving rise to back pain, neck pain, shoulder and finger issues. Injuries that result from poor ergonomics are some of the most common and frequent kinds of injuries, and they are found in all kinds of workplaces and occupations. Heel pain is a common foot condition. One may experience intense pain while you place weight on your heel. The pain usually builds up gradually and gets worse over time. Walking usually improves the pain, but it often gets bad again after walking or standing for a long time. This type of pain could be due to the overuse of a tissue known as Plantar Fascia. Plantar Fascia is a broad, thick band of tissue that runs from under the heel to the front of the foot, helping to maintain the arch of the foot. In Plantar Fasciitis, the pain is felt under the heel and usually on the inside, and sometimes along the arch, mostly on walking and running. People who run or jog regularly, and older adults who are 40-60 years of age, are the two main groups affected by heel pain. Overweight individuals are also more at risk. Correct diagnosis is important: Heel pain could be caused due to different reasons. Let a qualified doctor diagnose the correct reason. Rest your heel: This may not be easy. But avoiding walking long distances and standing for long periods will surely help. Pain relief: Techniques such as icing, massage, ultrasound or electrical muscle stimulation can help to reduce the pain. Stretching the calf muscles and the plantar fascia and strengthening of the intrinsic foot muscles can improve the foot mechanics and relieve the stress on the fascia. Foot mobilizations and supportive taping is also known to have worked well. 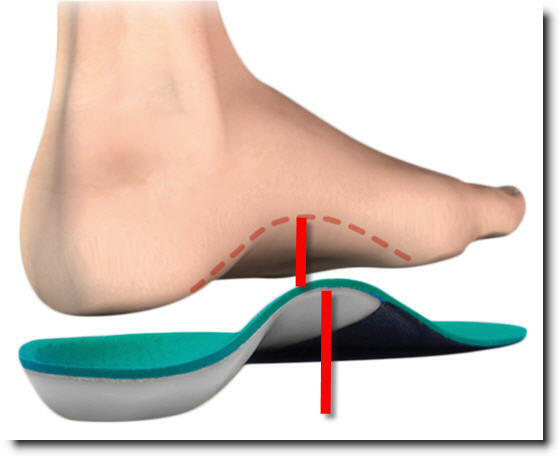 Use of well fitting, appropriate shoes/orthotics: Use of well fitting, appropriate shoes/orthotics. Is your heavy wallet to blame? Do you experience a sharp pain right at the centre of your buttock; especially when you sit? Do you get a sharp shooting pain radiating down your legs? Well, this could be because of your big fat wallet. When it comes to wallet, size matters ! Carrying a big wallet in your back pocket can cause a major trouble to your back & buttocks. Your wallet may be a one stop locale for keeping your cards, cash, bills & coins. But sitting with heavy wallets in your back pocket can put a lot of stress on your buttocks, back and hip. The problem starts when your nerve in the buttock, known as SCIATIC NERVE gets pinched between your wallet & buttock. It causes pain in your hip and/or buttock. It can also cause pain all the way from your buttock down your leg. Make time for Office stretches and improve your productivity. Taking the time to stretch throughout the day anywhere – in office or at home, can have numerous health benefits. Stretching can improve flexibility and is an important activity to warm up or cool down after exercise. Stretching can also be a fun and healthy break from your computer screen during the work day. These stretches along with correct sitting posture at workplace, also helps you to keep all those pain in the back and neck away. This Office Stretch Sheet provides you with 6 simple and effective stretches that you can complete whilst sitting at your work station. The newly developed Standing Stretch Sheet is perfect to do before a lunchtime walk, and for those who have standing roles. Try The Banana, The Emu, Reach for the Sky, The Rock, The Twister and The Yes & No today. We recommend you repeat each stretch twice, and hold each time for 20 seconds. Print a copy and pin it up next to your workstation to remind you and your colleagues – Have you stretched today? Posture is the position in which you hold your body while standing, sitting, or lying down. Good posture during pregnancy involves training your body to stand, walk, sit, and lie in positions where the least strain is placed on your back. As your pregnancy progresses, everyday activities such as sitting and standing can become uncomfortable. Following good postures and regular pregnancy exercises (supervised by an expert) could help you avoid certain common aches and pain related to increasing baby bump. Pregnancy causes many changes in the body – Physical, chemical as well as emotional. These changes are generally influenced by sudden and dramatic increase in hormone levels, especially Oestrogen, Progesterone and Relaxin. Physical changes due to weight-gain can put a considerable strain on your musculo-skeletal system. The increase in weight along with the hormone named Relaxin, puts enormous stress on our joints, ligaments and other tissues of the body. In addition, repetitive daily activities and being in one position for too long can further aggravate pain. High Heels: To Wear or Not to Wear? There will hardly be a woman who would not love to wear high heels (having put rationale aside) and appear as a long legged, stylish lady! And there are a lot of them who cannot forego the attraction, despite the discomfort that high heeled shoes bring with them! CTS is a common condition that occurs in 2.7% of the general population. Studies report that It is more common in women than men, and the average age of people with CTS is 40–50 years. At an early stage, Carpal tunnel syndrome may cause you more inconvenience than pain owing to trouble in movement and use of your wrist. You could ease these early symptoms yourself. 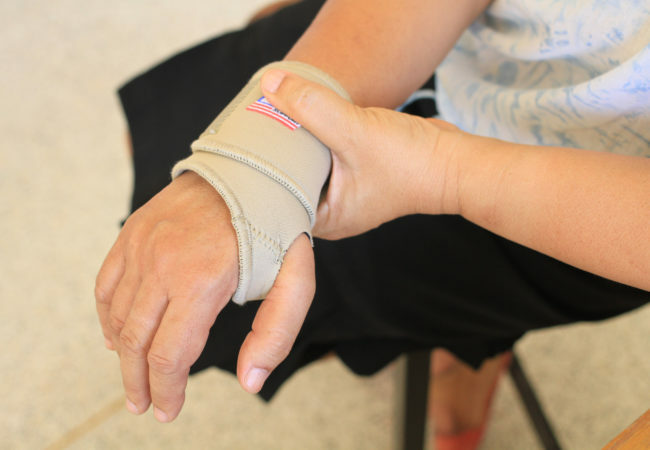 Wear a wrist splint to support your wrist in a neutral position. Splinting works the best when done within three months of having pain. Sleep with your hand in a neutral position on or alongside the bed. Shaking or massage the wrist to relieve burning sensation at night. When is the time to see doctor for Carpal Tunnel Syndrome? Early diagnosis and treatment is important in order to avoid any kind of permanent damage to the wrist nerve. If these home treatments don’t ease your pain in one or two weeks, it might be time to see a doctor. Physiotherapy is often recommended as part of your treatment plan to reduce the pain, swelling and help in stretching the muscles and retinaculum around and strengthening them. Generally, surgery is only an option for severe cases of CTS and if the other treatments have failed for a period of at least six months. How will physiotherapy help in the treatment of Carpal Tunnel Syndrome? Nerve and tendon gliding exercises to ensure full unrestricted nerve motion is available. Muscle and soft tissue extensibility. Comprehensive upper limb, wrist and hand ROM strengthening and endurance exercises. Grip and pinch, thumb and forearm muscle strengthening in later phases. In line with ReLiva’s 3 step Recovery Process, we also spend time in educating you about your condition, home exercises and dos and dont's, so that you can continue to remain healthy at your home even after the treatment is complete. 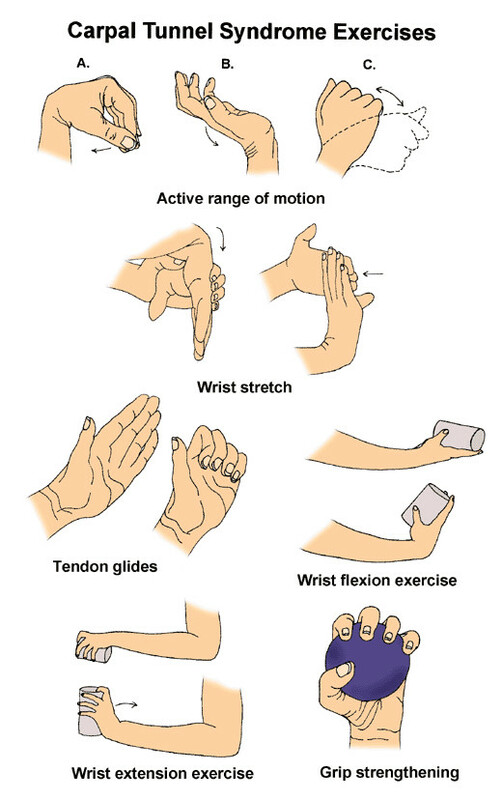 The positions of wrist while working. Stretch your wrists / arms periodically between activities. A therapist may be helpful in reviewing ergonomic tips or performing a work place evaluation. What Are the Symptoms of Carpal Tunnel Syndrome (CTS)? A lot of patients report this as pins and needles in the hand / wrist and forearm. A person with CTS may also experience clumsiness in handling objects, usually caused by decreased grip strength. What is Carpel Tunnel Syndrome? Our wrist is made up of eight small bones. A ligament (also called retinaculum) lies across the front of the wrist. Between this ligament and the carpal bones is a space called the carpal tunnel. This carpel tunnel is a cramped up space, crowded with the muscle tendons attaching the forearm and the fingers and a median nerve. The median nerve gives sensation to the thumb, index and middle fingers, and half of the ring finger. It also controls the movement of the small muscles at the base of the thumb. Any tension in this canal due to various reasons can compress the median nerve giving rise to the symptoms. 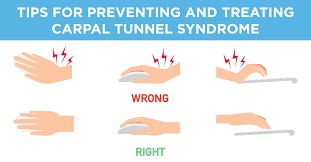 This is known as Carpal tunnel syndrome (CTS). 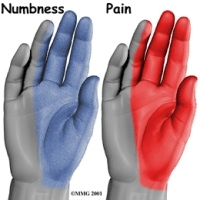 The main symptoms are pain, burning sensation, numbness and tingling in the thumb, index finger, middle finger, and the thumb side of the ring finger. Pain may extend up the arm. Weak grip strength may occur and after a long period of time the muscles at the base of the thumb may waste away. Typically, burning, acing, tingling sensations in the hand are present in the night. It is relieved by shaking or massaging the wrist. Women are three times more likely to have CTS than men. It may be that the wrist bones are naturally smaller in most women, creating a tighter space through which the nerve passes. Women also deal with strong hormonal changes during pregnancy and menopause that makes them more likely to suffer from CTS. Treatment of carpal tunnel syndrome should begin as early as possible, under a doctor's direction. Underlying causes such as diabetes or arthritis should be treated first. Splinting: Initial treatment is usually a splint worn at night. Avoiding daytime activities that may provoke symptoms. Some people with slight discomfort may wish to take frequent breaks from tasks, to rest the hand. If the wrist is red, warm and swollen, applying cool packs can help. 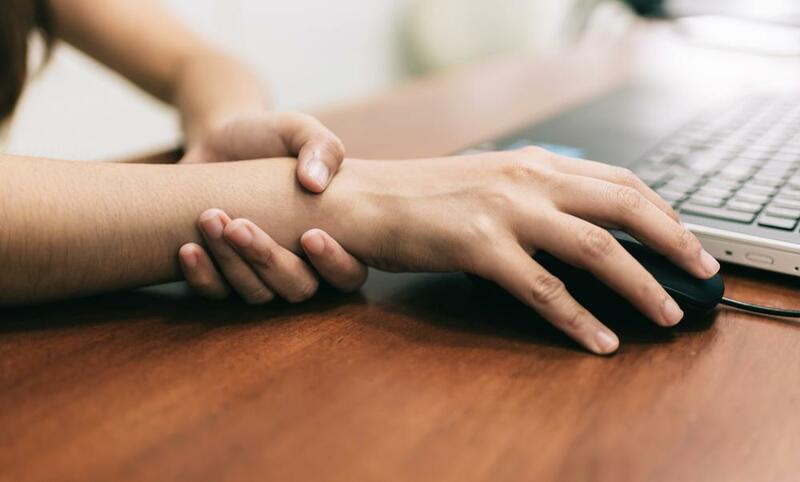 Medicines: In special circumstances, your doctor may prescribe you some medication to ease the pain and swelling associated with carpal tunnel syndrome. b. Endoscopic surgery: This may allow somewhat faster functional recovery and less post-operative discomfort than traditional open release surgery but it may also have a higher risk of complications and the need for additional surgery. Your surgeon is best equipped to decide. Following surgery, the ligaments usually grow back together and allow more space than before. Although symptoms may be relieved immediately after surgery, full recovery from carpal tunnel surgery can take months. Almost always there is a decrease in grip strength, which improves over time. How is CTS treated during Pregnancy? CTS is common in pregnancy. If you have tingling, numb and painful hands during pregnancy, it's likely to be caused by carpal tunnel syndrome (CTS). It happens when there is a build-up of fluid (oedema) in the tissues in your wrist. A lot of pain medications are not safe during pregnancy, hence it may be best to consult a prenatal pain specialist like those at FabMoms or a physiotherapist to find relief from the symptoms. 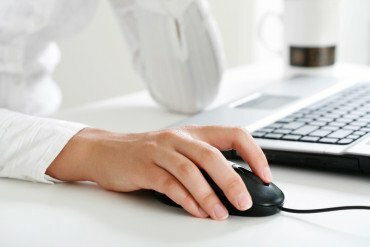 What will happen if carpal tunnel syndrome is not treated? Pain may radiate up the arm all the way to the shoulder. Over time, if untreated, carpal tunnel syndrome can cause the muscles on the thumb side of your hand to waste away (atrophy). Even with surgical treatment, strength and sensation may never be completely restored. How long does it take to recover from carpal tunnel syndrome? Early diagnosis and compliance of treatment suggestions (see above) may mean early relief from pain. However, numbness may take longer to be relieved, even up to 3 months. ReLiva physiotherapist will also spend time in educating you about your condition, home exercises and dos and dont's, so that you can continue to maintain your recovery and avoid recurrence of CTS. Surgery won't help if carpal tunnel syndrome is the wrong diagnosis. When the carpal tunnel syndrome has become severe, relief may not be complete. There may be some pain in the palm around the incisions that can last up to a few months. Can Carpal tunnel happen all of a sudden? In most cases, one can sense pain in the wrist which grows to include numbness and tingling at night. This can continue to aggravate over a prolonged period of time. In the case of acute CTS, symptoms may be sudden and severe. The may appear over a matter of hours rather than weeks or months and may be triggered by specific causes ( see causes of CTS above). Whether acute or chronic, pain associated with carpal tunnel syndrome may even spread up the arm to the shoulder. This post is based on the inputs from Dr Carol Johnson (PT). Dr Carol is an expert with musculoskeletal issues pertaining to office ergonomics, sports injury and women’s health. As India grows increasingly important in the World economy, more and more Indians are getting into white collared jobs. Information Technology or IT/ITES sector, alone forms the largest employer in the organized private sector of our country. And when over 50 % of these IT professionals in India report musculoskeletal problems like back pain, neck pain etc, one cannot ignore the mounting size of the issue. A high prevalence of musculoskeletal (orthopedic) problems has been seen amongst IT workforce. Studies have found that over 50% of the IT professionals in India report these issues. Office for National Statistics in UK has found that back, neck and muscle pain accounted for more absences than any other ailment.